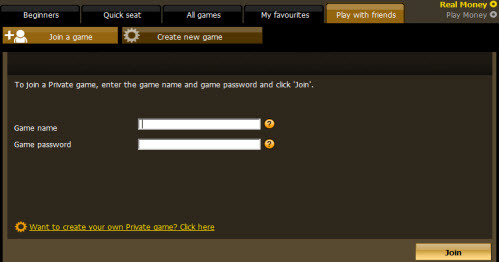 The new “Play with friends” feature allows players to easily define their own private, password-protected, video/audio tournament (or cash game) and play with their friends. Once the game is defined, players can invite their friends by email, Facebook, Twitter or share a link of a designated landing page. Through the “Play with friends” tab, players can also join games they were invited to by their friends. The new chat animations feature is a set of funny animations that automatically appears when a player uses common poker words or abbreviations such as: nh, ty, zzz, wow, etc. Try it! 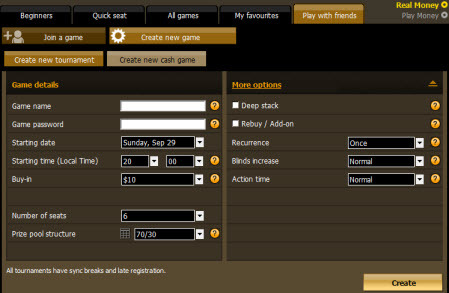 The new video tournaments are MTT and Sit & Go webcam tournaments where players can see other players. These new tournaments enable you to improve your opponent-reading skills, and take your Delaware Park game one step closer to the real live poker experience. 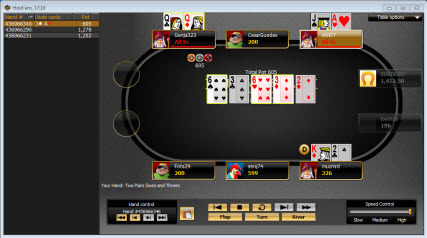 In the new Hand History player, the player can easily navigate between their played hands, playback the hand in different speeds, or view it after the flop, turn or river. 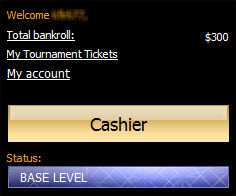 Finally, the new “My account” page allows players to track and get information about their bonuses. 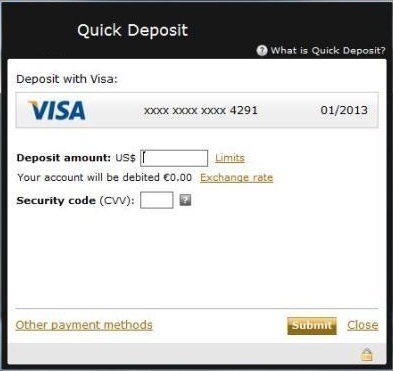 Quick Deposit enables fast & easy deposits direct from the table. In just 2 clicks you can deposit with your last-used payment method via a small pop-up window.